Gastone is an elegant and practical folding trolley with varnished plastic top surface and chromed steel support. It is available in five shades: white, black, blue, plum and cream. 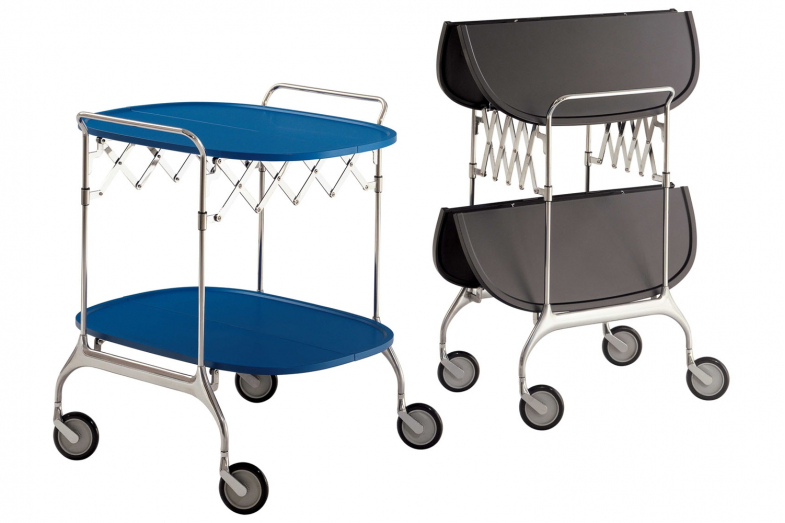 The castors are a formal feature and ensure functional mobility. Once closed, it has a depth of 23 cm, and can be easily folded away.